Jan. 4, 2018—Vanderbilt’s Pampee Young, MD, PhD, has been named chief medical officer of the American Red Cross. Jan. 4, 2018—Lou Ann Owens had lost count of how many times her husband Paul had been hospitalized by mid-2017, so when a team from the Vanderbilt Familiar Faces (VFF) program visited his room in August with an idea that might reduce his hospital stays and better manage his health, the couple immediately agreed to participate. Jan. 4, 2018—Microtubules are the “railroad tracks” essential for moving intracellular “freight” around in the cell. They’re also part of the spindle that pulls the two centrosomes apart during cell division. Jan. 4, 2018—Two Department of Pediatrics faculty members have been named to new and expanded roles. Kris Rehm, MD, has been named vice chair of Outreach Activities. Succeeding Rehm in her role as Division Chief for Hospital Medicine is Derek Williams, MD, MPH. Jan. 4, 2018—The Alliance for Academic Internal Medicine’s APM Council will award Vanderbilt’s Nancy Brown, MD, the 2018 Robert H. Williams, MD, Distinguished Chair of Medicine Award during the APM Winter Meeting, March 18-21 in San Antonio. Jan. 4, 2018—Julia Phillippi, PhD, CNM, has received a K08 Career Development Award from the Agency for Healthcare Research and Quality (AHRQ) of the U.S. Department of Health and Human Services. Phillippi, a Vanderbilt University School of Nursing assistant professor and certified nurse-midwife, will use the three-year, $399,374 mentored award to conduct a randomized trial of an interdisciplinary team-based maternity care model and examine the preferences of patients and providers. Jan. 4, 2018—Apple has Siri, Google has Google Assistant, Microsoft has Cortana.  A team at Vanderbilt University Medical Center (VUMC) is creating voice-controlled virtual assistant software to help people interact with electronic health records (EHR). Jan. 4, 2018—The growing list of patients needing liver transplants continues to outpace the number of available donor organs, but a new preservation and transport device for donor livers could possibly make a big difference. Jan. 4, 2018—Players from the Nashville Predators hockey team recently brought some holiday cheer to patients at Monroe Carell Jr. Children’s Hospital at Vanderbilt. Players stopped by Seacrest Studios to play a game and then visited with patients throughout the hospital and clinics. Jan. 2, 2018—As Nashville welcomed a new year, Graciela Guirola and Roland Rubio welcomed their new daughter, Iris McKenzie Rubio Guirola.